My last post (Havana Oh Na Na) was a little summary of my amazing couple of days in Cuba. I met the greatest people, ate my body weight in churros and lived like a local (kind of). Here’s a break down of my time in Cuba, day by day. Bear in mind, I did not have a typical tourist time in Cuba and that’s what made it so special. DAY 1 – HAVANA, I HAVE ARRIVED! 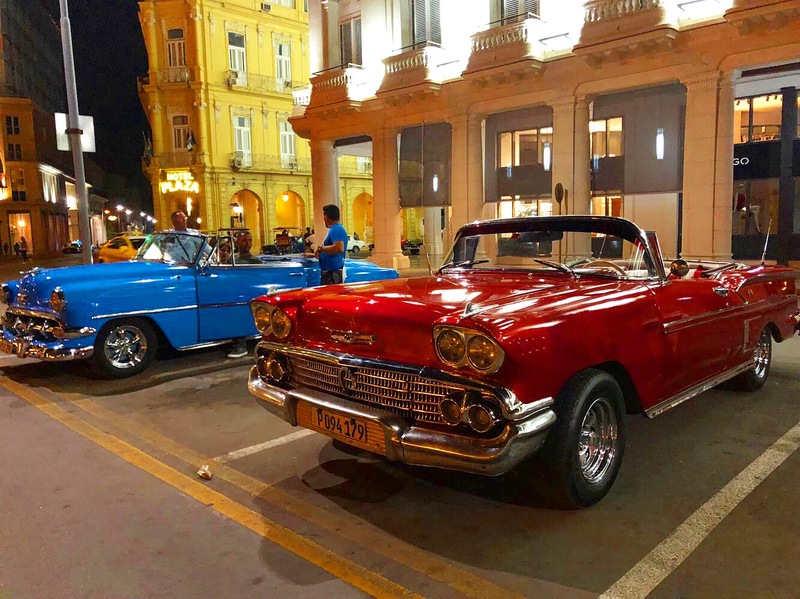 Havana, Cuba – a city I had only dreamed that I would be able to visit and I had landed. 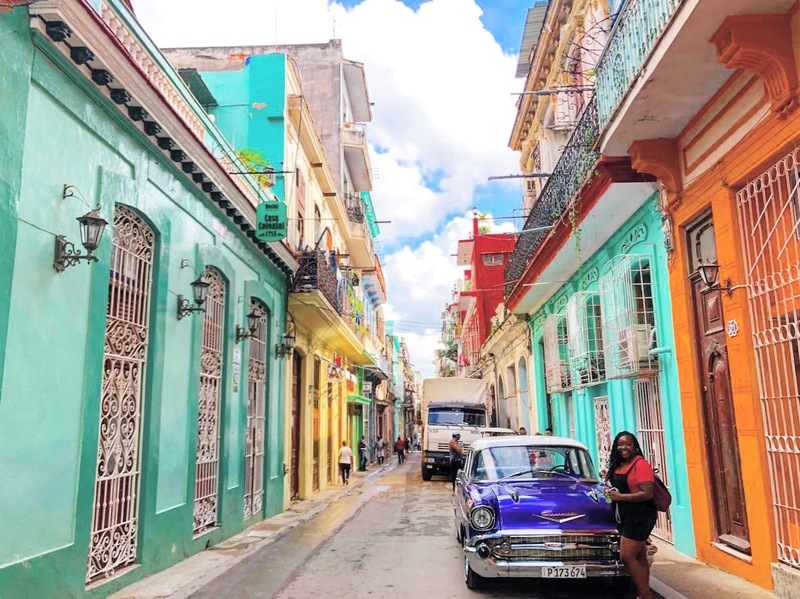 I flew with Cubana Air from San Jose and I felt that it made my trip to Cuba even more legit because I was flying with the official airline – haha. So I arrived in Havana and managed to negotiate a taxi from the airport from 40CUC to 25CUC. 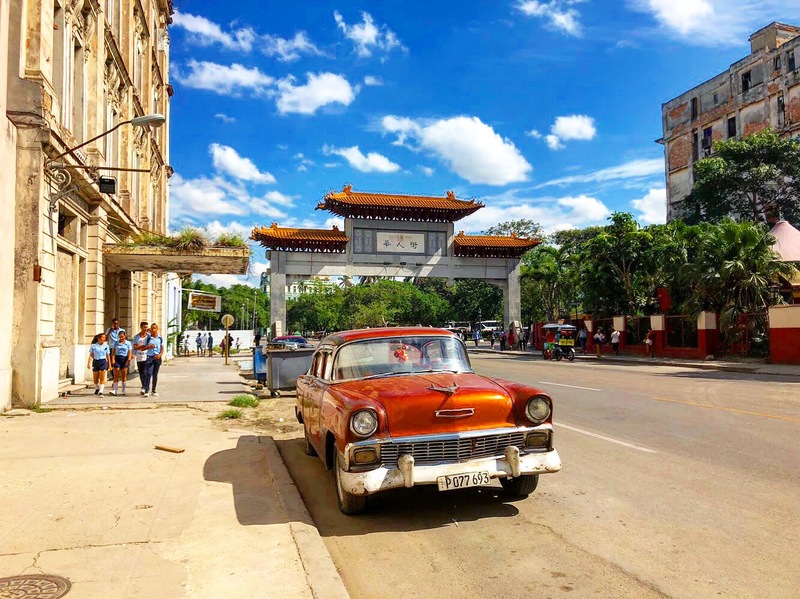 When we arrived in Habana Vieja (Old Havana), I was welcomed with open arms by the lovely Melissa who I was embarking on this part of the adventure with me. After dropping off my bags, finding WiFi to let my Mummy know I have arrived safely and posting on social media that I am in Havana, we went to look for food. 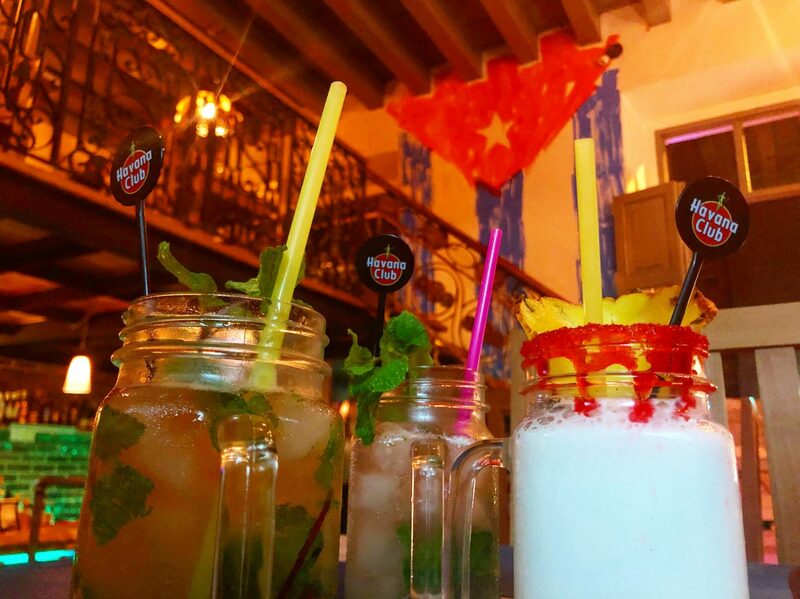 As we were walking, we were approached by a lady called Laura who said she thought I was a Cubana – yessss! I then thought, why not ask a local for a food recommendation and she decided to walk us to the restaurant. Where we ate was right next to our casa and it was called ‘La Familia’ and there seemed to be quite a few people promoting this restaurant. Laura then asked if she could have an invitation to sit and have a drink with us, of course we said yes – little did we know we would be footing the bill haha. It was only 4CUCs so it wasn’t too bad, but I will not be doing that again in a hurry – haha. After dinner, we wondered around a little and then retired back to our casa ready to face a new day. Today was my first full day in Havana and I was looking forward to what the day had in-store. First stop was Chinatown to get some WiFi cards. Being disconnected from the internet and social media in Cuba was amazing, it lets you truly live in the moment. I got it mainly to check in with my family at home and to communicate the next destination travel plans with those necessary. I got 5 hours which lasted pretty much my entire time in Cuba. I love a bit of adventure, so rather then coming back the same way we left I decided to venture down another street. I live for getting lost in new cities and every first day I have somewhere I spend wondering around. It was nice to share this little travel with Melissa. This adventure also led us to our encounter with the ‘leche’ scam, apparently it is actually a thing in Cuba. Basically, ladies approach you asking you to buy milk for their baby, when you get into the shop you’re actually paying for the entire contents of their shopping list. I was not getting bumped, I literally bought the one cartoon of milk that I agree to. It was more the principal then the price for me. We then continued on our adventure around town and stopped at a hotel for WiFi and drinks. After this little break we headed to puppy corner, where I fell in love with Baby (MY blue-eyed husky). Puppy corner was great because we met some really lovely Cubans. 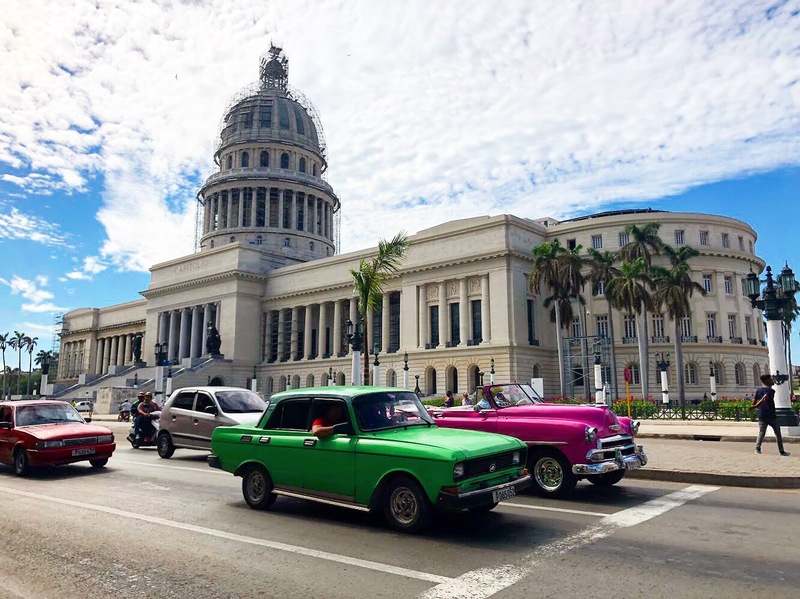 We were meant to head to Trinidad and Cienfuegos for a couple days, but because we couldn’t get tickets back to Havana, Melissa didn’t want to take the risk and decided not to get a ticket. 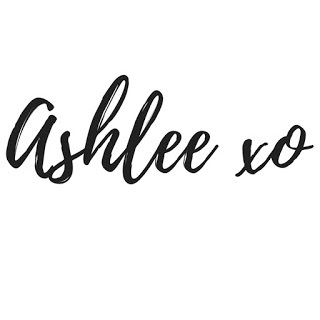 Solo adventure for Ash! I booked my ticket to Cienfuegos for 1pm the next day and we headed back to the casa we originally stayed at. We went back from the station to our casa and then decided to venture out looking for food. That’s when we met a bunch of really sweet Cuban guys who showed us a really nice and nicely priced place to eat. That is when we met Dayron, absolute sweetheart and we are actually familia now. We connected really quickly and he took us to his house where we met his family. Their family friend was there and she had us in complete hysterics the whole night. We also met Chukku, his best friend/ brother who was absolutely amazing – loved him. He was such a free spirit and so happy. It was so sweet, when I said I was going to Cienfuegos for a couple days, they told me to come back quickly and that they’ll miss me. Mi familia. We bumped into Dayron and Chukku while wondering around Habana Vieja in the morning. It was nice because they showed us around a part that we hadn’t seen yet. Chukku also took us to meet his parents and I got to hold his super cute and hyper puppies. It was time for me to head to the bus station and so Dayron helped me get a taxi – thank goodness, local prices! It was a lovely journey, four hours but I managed to catch the sunset. We also stopped at a really nice restaurant-rest stop where we used the toilet and most people bought food. While in Rome, Italy, I met a lovely Cuban guy who I danced the night away with in a Latin bar (read here). Once Cuba was on the itinerary for my 6 week adventure, I messaged him to let him know that I will be in Cuba. I love meeting people from around the world when travelling. When I arrived in Cienfuegos, I was greeted by someone offering casas to stay in, so I just went with him because my instincts told me I was okay. Honestly, Cuba is really safe so I wasn’t worried being alone at all. I dropped by bags off at the casa and he organised my taxi to my friend’s house – taxi being his friend with a car – haha. We did go round in circles though, because my friend was communicating with the casa guy and for some reason he just couldn’t get exactly where. He then tried to charge me 20CUCs for going around about 3 times when we agreed 15CUCs. My friend told him he would be lucky to get 5 so he should take it and leave – haha. My taxi back cost 3CUCs because my friend ordered it for me (who said tourist prices aren’t real). We grabbed some beers and spent the night chatting away and catching up. He is honestly one of the loveliest people I’ve met and I am so glad we kept in touch. He is also extremely easy on the eye – haha. I also met his 14 year old giant brother, who was adorable and did not even want to attempt to speak English – bless him. What was funniest about the evening is we were speaking Spangtalianglish (Spanish, Italian and English), it was actually so much fun and we spent quite a few hours at it with conversation flowing. It was getting late and so around 2am I decided it was time to head back to the casa. I was missing Melissa and our lovely Cuban friends so I decided to head back to Havana earlier then I initially planned to, so I actually only saw the main strip of Cienfuegos and Parque Jose Marti at night, which was quite pretty. The guy whose casa particulares I stayed at organised a taxi collectivo (shared taxi) back to Havana for me. It was really good, 10CUC more than the bus, however I was able get one whenever I needed it and it was a shorter drive. What took the bus about 4 hours, took the taxi collectivo 2.5hours. I shared with an Italian man and I was able to sleep in the backseat for most of the drive. Once I got back, I went to the casa Melissa was staying at, got changed and we head straight out to meet our friends. What is so great about Cuba is that you can just bump into people. We never really made specific plans to meet, we just knew where to find them. Its like when your kids and you all hang out at the same park all the time. You don’t need to call each other, you just turn up and find each other. We bumped into Dayron and Landis’ friend Michael who was an absolute sweetheart. We decided to grab a bottle of Havana Club and spend the evening together. They took us to a part of the Malecon along where there were loads of young people our age just hanging out, dancing, listening to music – we felt like this was truly our home and we were locals. Our last day in Cuba was definitely an interesting one. We were literally up and out all day and all night – which was great we really got the most out of being in Cuba. I went on a lovely lunch date with a gent that we met on our second night in Cuba. He worked at the souvenir shop on our road and we just got on like a house of fire. We went to a really nice Cuban restaurant, which was located at the top of the colourful buildings across from El Capitolio. When the food that we ordered arrived, I got the shock of my life. My plate was twice the size of his plate. It was actually comical. In true Ashlee fashion, I couldn’t finish it and so I ended up taking it away in a doggy bag. After lunch, we took a walk to Plaza de Armas and enjoyed the salsa blaring from the street corners’ restaurants and bars. 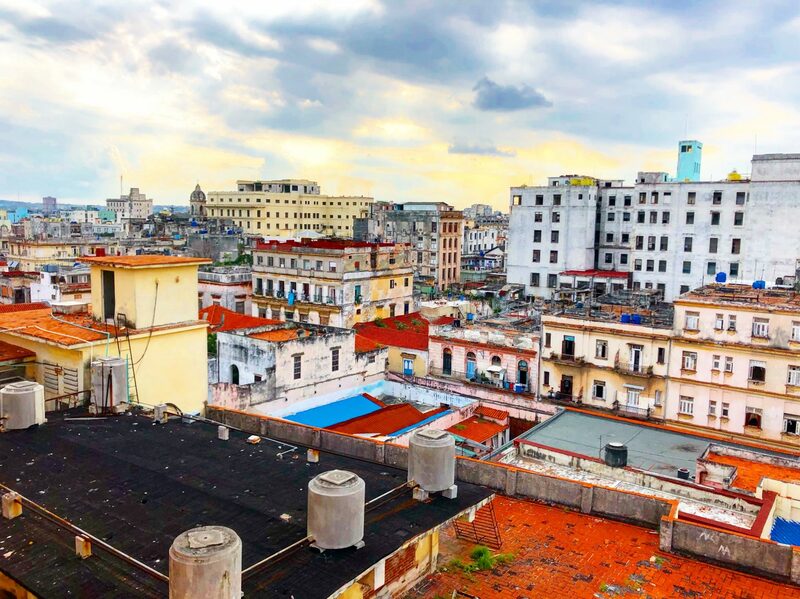 We then ventured to the top of Hotel Ambos Mundos to get a panoramic view of Havana. It was breathtakingly beautiful. After strolling the streets of Habana Vieja, he had to return to work and I went back to the casa for a little nap. Mel went on a day long date with a Cuban she met while we were on puppy corner – I was obviously super entertained by the puppy – haha. Obviously I wasn’t there but I know she had an amazing time and saw some beautiful places around Havana. They also made it to the beach which was really pretty (I saw pictures). As Melissa was still out and about, I decided to venture around Habana Vieja and grab some churros. I actually ended up hanging out with our friends from the souvenir shop for a couple hours, then I went for a walk with our other friend Landis. This is when I actually bumped into some lovely Brits, Cle and Camille who were actually organising and hosting the trip to Cuba that I wanted to go on. Landis and I then decided to go to our other Cuban friend’s house where were spent most of the evening. I was so hungry and Tia (Auntie) had just cooked. They literally treated me like I was family, despite me saying I am not very hungry (HUGE LIE – haha) in typical Tia fashion she insisted I eat. The plate of food came out and I almost passed out – haha. It was a mountain! I said very politely to Tia “Muy Grande, Pequito Por Favor”. The whole room roared with laughter and mi hermano (my brother) got me another smaller, plate of food. And it was so good. I love a home-cooked meal and hadn’t had one in so long which made it taste that much better. Joined by Melissa eventually, we were meant to got to a rooftop bar party that we had been invited to, however our friends didn’t want to go and so we opted in to spend our last night in Cuba with them. We chilled at one of our friend’s houses and then we all headed to the Malecon for one last night. Its actually crazy how you can connect with people and feel like a family. Despite their being one English speaking Cuban, me – Spanglish speaker and everyone else only speaking their mother tongues; we all got along, had fun and somehow managed to communicate with each other. As it was our last night in Cuba, we didn’t even bother to sleep and spent the night up by the Malecon with our Cuban familia. We got back at about 2.15am which gave us enough time to finishing packing, shower and jump in our 3am taxi to the airport. What a colourful place to be! I would love to go to that side of the world one day, but it’s so far away! I’m glad that you had an amazing time – and those cars are gorgeous! Oh my goodness I would LOVE to go to Cuba! I love the retro feel and those pictures make it look absolutely wonderful! The closest thing I’ve been to that’s sort of like Cuba would have to be Miami. But Havana’s on the list! !